Few video game systems have had as strange a journey as Nintendo’s 3DS. The spunky portable console flopped, got a massive price cut, gradually built up a spectacular library of games, and received several bizarre (and confusing) hardware models throughout its six years on store shelves. And now, it’s ditching its biggest selling point. Farewell, 3D. Last night, Nintendo announced the New 2DS XL, a sleek $150 piece of hardware that is essentially a New 3DS XL without 3D. This is an iteration on 2013's 2DS, a cheaper model that also ditched the 3D but felt uncomfortable and lacked the convenient clamshell design of other models. With the button configurations of the New 3DS XL and the price cut gained by killing the autostereoscopic display, the New 2DS XL is the best of both worlds. Though it won’t replace the New 3DS XL on the market, it will be the better and undoubtedly more popular version. It’s also a final goodbye to glasses-free 3D, a feature that was once the 3DS’s crown jewel but has long been rendered irrelevant. 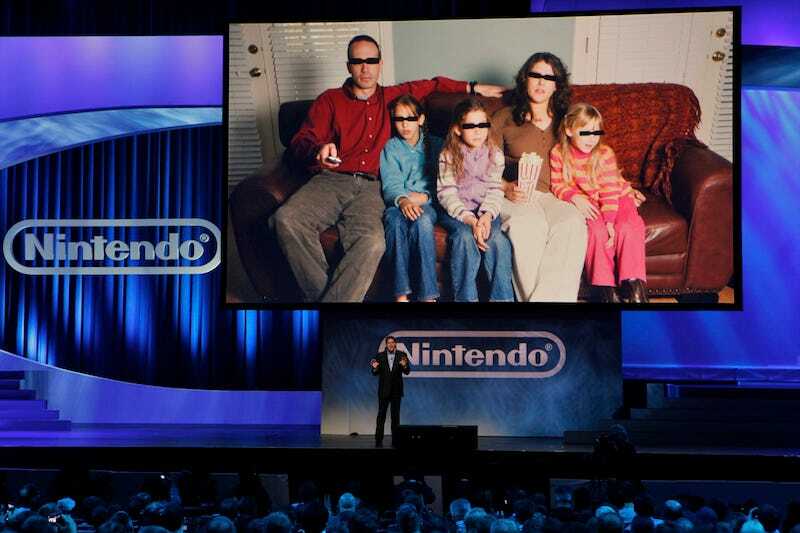 We’ve come a long way from March 2011, where I watched Nintendo of America boss Reggie Fils-Aime lead a small crowd of loyal fans in grabbing 3D glasses and tossing them up in the air during a launch event on the streets of Manhattan. “The era of 3D glasses ends right here and right now,” Fils-Aime proclaimed. What he didn’t know was that the era of glasses-free 3D was never going to start. It took less than a year before the 3DS’s sluggish sales forced Nintendo to slash its price from $250 to $170, a bona fide fire sale, in part because nobody cared enough about 3D to buy it. By mid-2012, Nintendo had removed all mentions of 3D from its marketing materials, choosing wisely to focus on what people actually wanted—good video games—and bolstering the system’s library with great Marios, Zeldas, and much more. There’s no way to tell how many people use the 3DS’s 3D slider—Fils-Aime admitted in an interview today that the company doesn’t have usage data—but Nintendo stopped talking about it circa 2012. Watch a Nintendo event from the past five years and you’re as likely to find mentions of 3D as you are Wii U sales numbers. Some games have ditched 3D entirely. Hyrule Warrior Legends takes massive performance hits when you put on 3D, and the 3DS port of Mario Maker doesn’t even bother giving you the option. Of this year’s upcoming games, Nintendo tells me that Fire Emblem: Echoes, Ever Oasis, and Miitopia all use 3D in some way, but Hey Pikmin won’t, and it won’t be a surprise to see future 3DS games follow Captain Olimar’s trend. Meanwhile, the New 2DS XL appears to be the premier choice for anyone in the market for a 3DS, assuming you can get past the baffling nomenclature. Here’s a little trick: 3DS minus 3D equals 2DS. Further, 3DS minus 3D equals a better, cheaper system—one without a gimmick that was obsolete before it even launched.